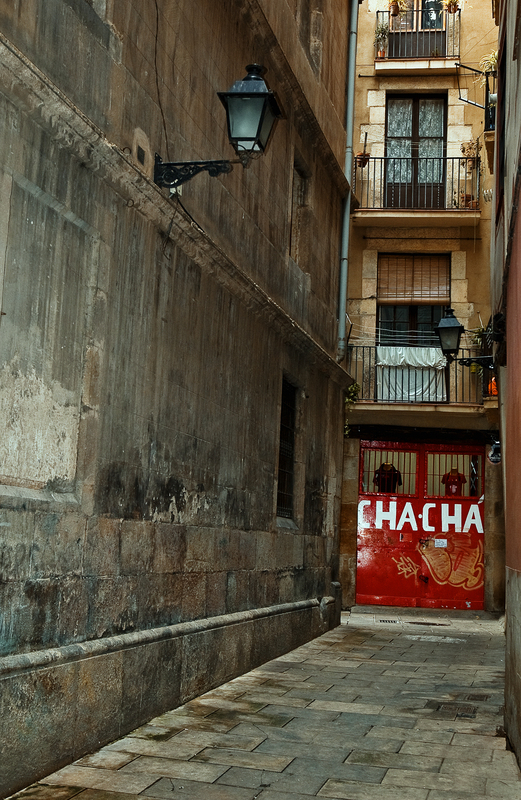 A narrow alley in El Born quarter, Barcelona, with a small but trendy store called Cha Chá. The exact address, Sant Antoni Dels Sombrerers 7. Essa rua e essas pedras recordam o Porto e Guimarães! Magnificent pic, it is this kind of buildings and the modern ones that makes one city attractive.